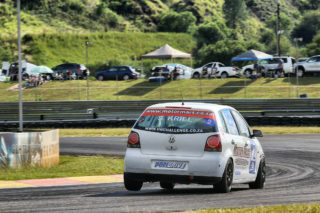 After a fantastic opening round in February this popular one-make series will head to the rustic Midvaal Raceway this coming Saturday, the 23rd of March for Round 2 of this year’s championship. They will be joining the Inlands and Historic series for a day filled with racing. 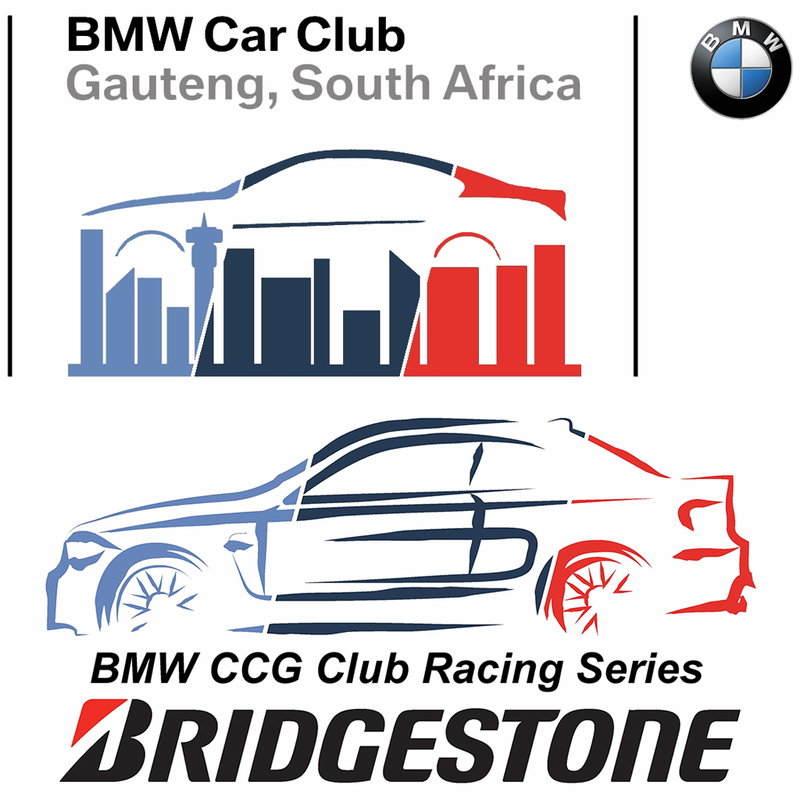 As premier category on the day, the Bridgestone BMW Club Racing Series is expected to once again mesmerize spectators with their roaring engines and beautifully prepared BMW race cars taking to the track in two hard-fought races for the day. Paulo Loureiro (Combined Racing BMW F30 335i) will head up the challenge in Class A where the Class B battle will see Andreas Meier (BMW E36 M3) hoping for another whitewash like he experienced in the first round. He will however face stiff opposition from Len-Henry Gobey (LESAVERT / G&H Transport BMW Z4M) entering the series for the first time this year. Jan Eversteyn (Bavaria Racing Team BMW E46 M3) who experienced mechanical maladies in the previous round and Oz Biagioni (Bio Pool Maintenance BMW E46 M3) can however not be discounted as they will be back looking at setting the tables straight after their defeat. 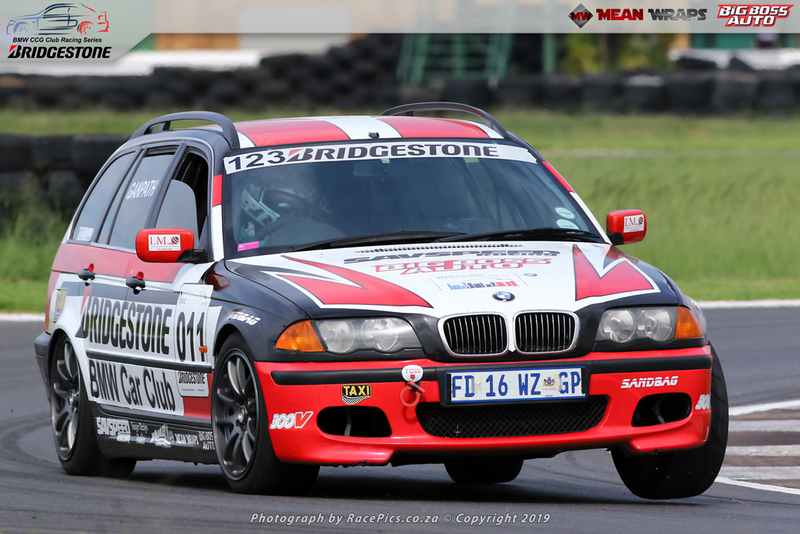 With the uncertainty and trepidation behind him after his first ever race, Pieter Lombard (SMS Alert BMW E36 M3 GTS) is expected to take charge of the Class C grid. It will however be a tough day in the office for him as he will have the likes of father and son duo Mike (BMW E39 M5) and Shane Grobler (Mayfair Gearbox BMW E36 330i), Renier Smith (BMW E36 M3), Neil Reynolds (Valve Hospital BMW E36 M3), and Jimmy Tsimenoglou (S.A. Safe Equipment / Big Boss Auto BMW E36 M3) breathing down his neck waiting for a rookie mistake they can capitalise on. 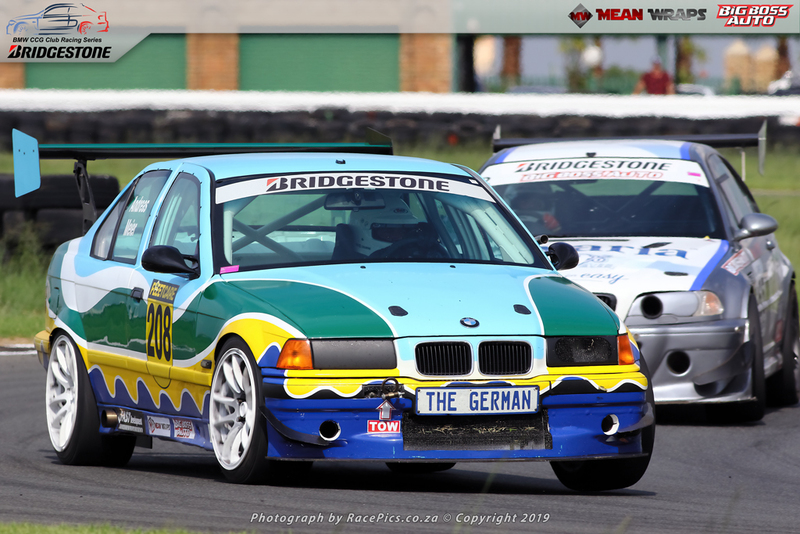 The renowned “Brat Pack” and Class D grid will see Alan Hilligenn (BMW E36 328i) return to the class after his runaway victory at the previous round in Class E. This time round he might not have it so easy as he is expected to face stiff opposition in the form of Nek Macris (BMW E46 328i Turbo) having the advantage of turbo power down the long back straight. 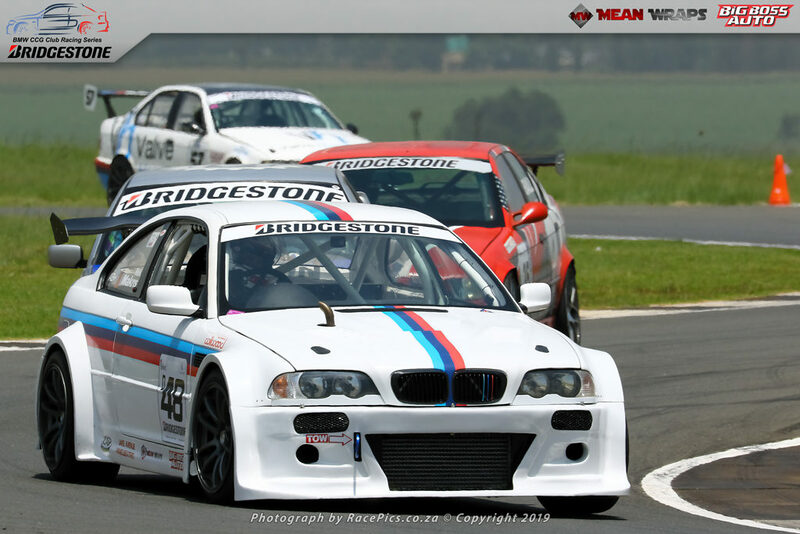 To complicate matters even further, and another force induced engine, will see Jonathan Matos (Matossport BMW E36 328i Turbo) making a welcome return to the series after he blew his engine in spectacular style last year. 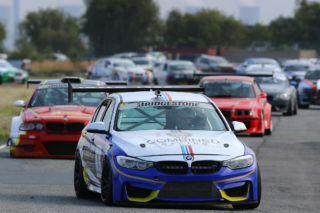 Even though the turbo charged cars might have the advantage on the straight one cannot discount the naturally aspirated cars of Matthew Wadeley (BMW E36 328i), Salvi Gualtieri (Eataly Food / Savspeed BMW E36 328i) and Troy Cochran (Arrow Automotive BMW E46 330ti) that have the advantage of powering out the corners faster. If the first round was anything to go by, then the newly formed Class E just might steal the “Brat Pack” branding from Class D due to their close quarter battles. 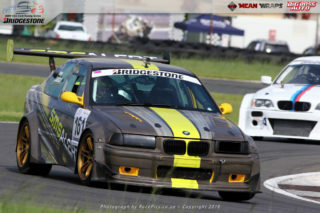 Top contenders on the day is expected to be Varish Ganpath (BMW E46 325ci) and veteran racer Manny Ribeiro (Bridgestone/BMW Car Club BMW 325i Touring) who is making a welcome return to the series after a 2-year absence due to work commitments. Keeping them company will be series chairman Bernard De Gouveia (De Gouveia Accountants BMW E36 328i) and season newcomer Bertie Rietveld (Rietveld Knives BMW E36 328i). 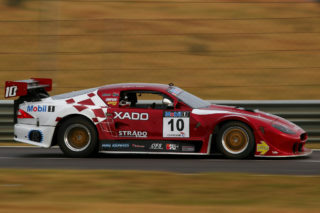 Qualifying is expected be take place around 08:45 in the morning with the first race on the day scheduled for 12:20. The second race is expected to take place around 16:10. Entry for spectators on the day at Midvaal is R50 per adult and for kids under the age 16 years will enter for free.